In a surprising reversal, the Department of City Planning (DCP) will review JDS Development's plan to build a supertall in Manhattan's Two Bridges neighborhood. Developers Roy Schoenberg and Gary Spindler (of Park-It Management) had planned to build on an adjacent site. 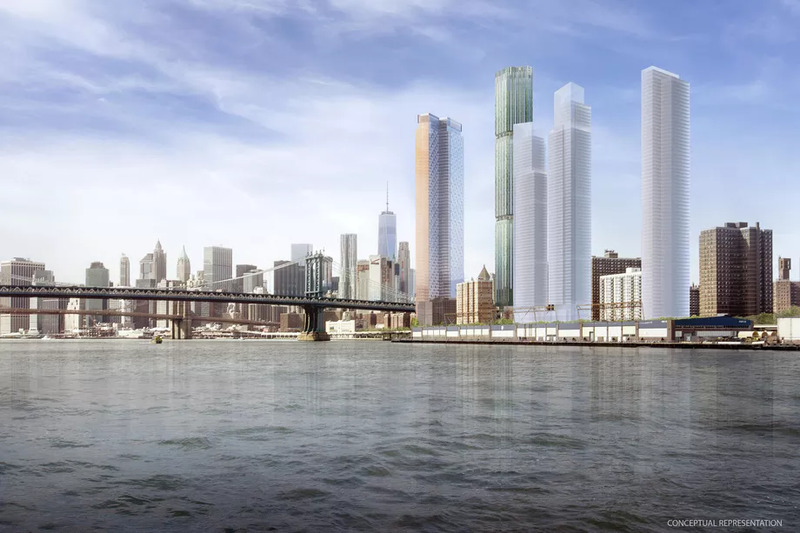 The pair sued JDS in New York State Supreme Court recently, claiming that in 2012 Michael Stern's company co-opted the air rights they intended to buy from Settlement Housing Fund and Two Bridges Neighborhood Council. Schoenberg and Spindler had plans to build a 300,000-square-foot, mixed-use affordable housing on the site. Instead, the nonprofits nixed the pending contract and sold the parcel's air rights to JDS for a cool $50 million, Crain's reports. 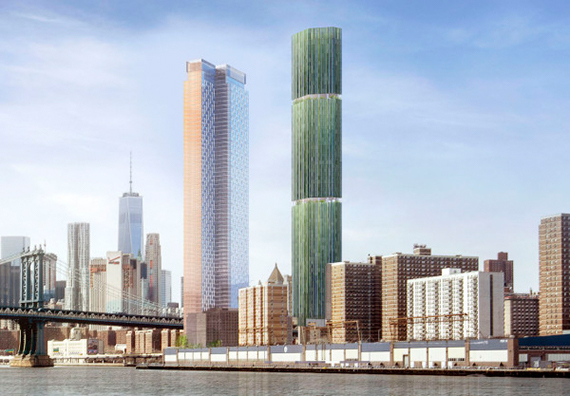 Now, Schoenberg and Spindler have withdrawn their application for their project, so the DCP will review JDS's application for an 80-story, 1,000-foot-tall greenish cascading tower by SHoP at 235 Cherry Street, pictured above.